Podcasters often focus on increasing downloads for better stats. These tongue-in-cheek ways will boost your podcast download but not grow your audience. The globally unique identifier (GUID) is what distinguishes each item in your RSS feed. This unique ID, which could be any text (URL, a word, random characters, a post ID number, etc. ), doesn't change even when you change everything else about the post (URL, title, podcast episode, etc.). If you change the GUID for an already published episode, RSS readers and podcast apps will think it's a new episode in your feed and redownload. This is what I accidentally did on March 11, 2015. I messed with my website database to change all HTTP links to HTTPS to make TheAudacitytoPodcast.com a secure browsing experience. I wanted all the links changed so you wouldn't see mixed-content warnings, which is what happens when a secure website (HTTPS) loads insecure (HTTP) stuff. My GUIDs were based on URLs. So when I did a “find and replace” on the database, all of my GUIDs changed, too. Thus, your podcast app would think all 259 previous episodes of my podcast were brand new. I tried to fix this as soon as I realized what I did, but I was too late for many of my subscribers. I'm very sorry about that inconvenience. It probably took extra bandwidth and storage on your mobile device. But how about those daily download stats, huh? As tempting as the download spike looks, this resulted in absolutely no increase in my actual audience. While this may encourage existing subscribers to consume old episodes, this more likely frustrated the audience I worked so hard to build! Tweet dozens or hundreds of times per hour. 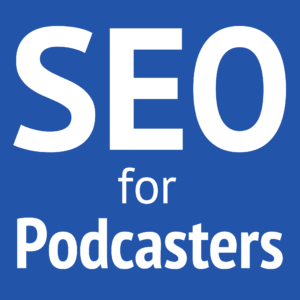 Include direct links to the podcast media files (often pre-shortened with Bitly or other URL-shorteners). Podcaster and podcast-producer Bryan Orr critically tested Twitter-bombing himself and saw amazing results. © 2015 Bryan Orr. Used by Permission. Sharing your podcast, even a direct media URL, on social networks is a good idea! 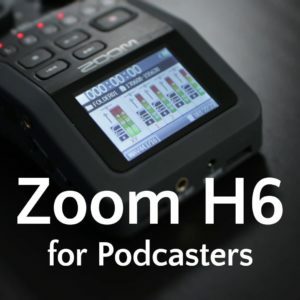 It can certainly help you reach a new audience or remind your existing audience about recent or past episodes. But what isn't good is spamming Twitter with links designed to result in automatic plays. The test above proves that Twitter-bombing worked. But shortly after Bryan's experiment, he was back to normal download numbers. There was no significant increase in human audience! “Auto-play” is when you visit a page and audio or video starts to play automatically. For example, YouTube and Pandora automatically start playback as soon as the webpage loads. Some embeddable podcast players give the option to make the media start playing automatically when someone visits the webpage. Put this on your homepage or every page of your site and every visitor counts to as a new download! This is essentially spamming your audience. Auto-play forces your visitor to start downloading content they may not even want, and they may not even stick around to hear or view more. There are a few good places for auto-play, such as a live page and other places your audience is expecting playback to start upon visiting the site. 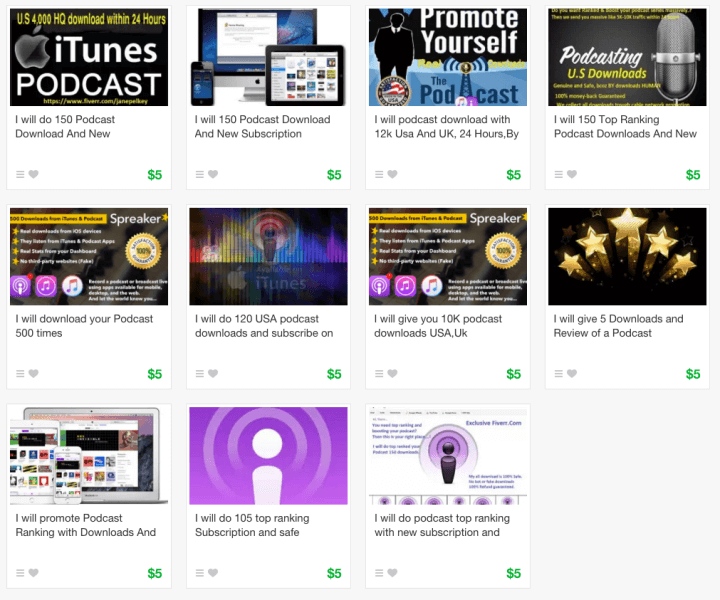 Easily double your “downloads per month,” by simply doubling how many podcast episodes you publish each month! This will cause your subscribers to download twice as much as before, and your stats will double! 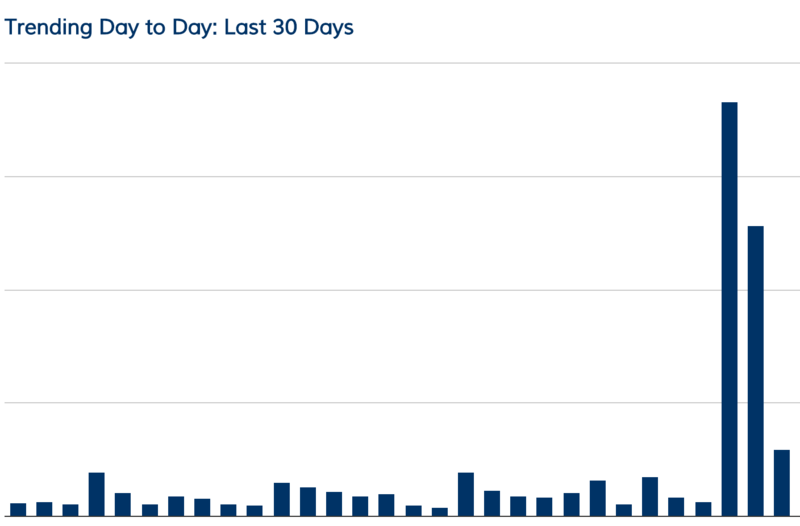 Look at what happens with my Once Upon a Time podcast during the hiatus month when we publish far fewer episodes. 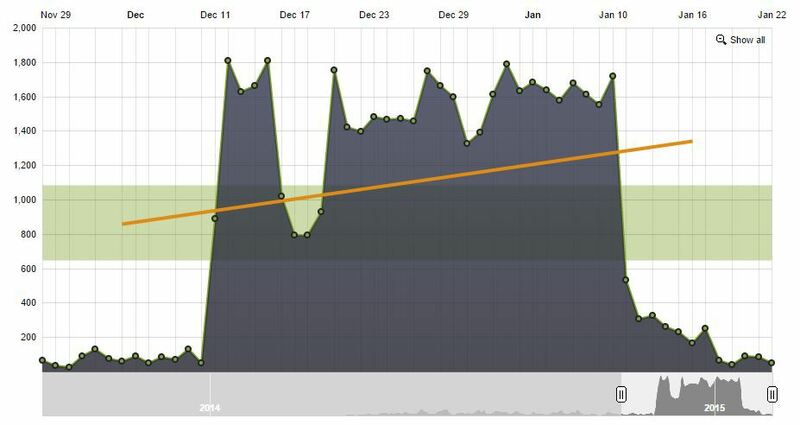 Increasing how much content you publish certainly can help your podcast grow! After all, that's more opportunities to share fresh content, more opportunities to be found through search-engine optimization (SEO), and more opportunities to target new listeners with content relevant to them. So there's nothing inherently wrong with publishing more episodes. Increasing your publishing frequency, alone, does not result in a proportional increase in audience. In the above chart, the months with the most episode downloads where the months with the most published episodes (up to 8 times as many episodes as the hiatus months). My per-episode downloads, however, show a gradually increasing trend in subscriptions, not the spikes my monthly downloads reflect. Additionally, many podcast players will pause someone's subscription when they haven't played a recent podcast episode. (iTunes/Podcasts app for iOS pauses after 5 unplayed episodes.) 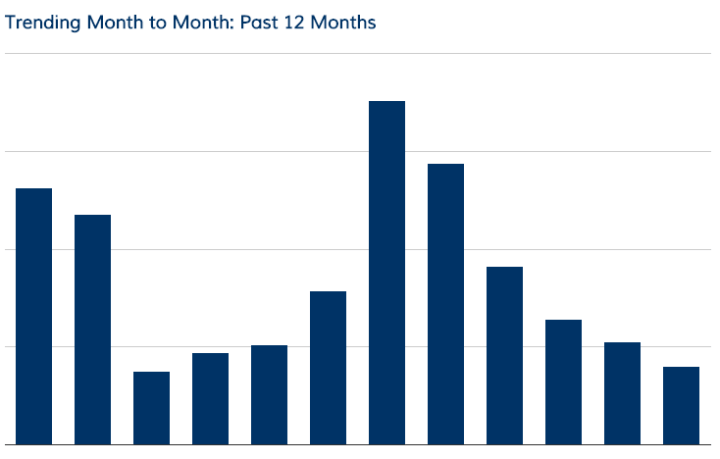 Thus, the monthly downloads are likely to decrease the following month as subscribers struggle to keep up. This is similar to publishing more episodes. When you increase the limit on your RSS feed (such as from the default 10 to anything more), you'll get more downloads of your old episodes, especially if new subscribers never downloaded your whole archive. I have always had high limits on all my show and for the podcasters I help, so I don't have any charts to show for this point. I would be happy to share yours, if you have done this! This is not nearly as bad as changing the GUIDs in your feed and forcing redownloads. I recommend having as many episodes of your podcast available as possible. (The iTunes podcasts directory will display and search no more than 300.) 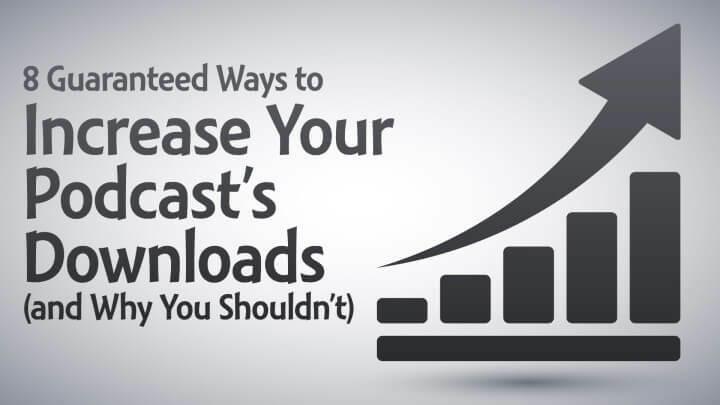 But if you increase your RSS item limit, you'll get more downloads from your existing subscribers, not a new audience. When you have a longer-than-usual gap in your publishing schedule, it makes one episode remain the latest episode for a longer time. 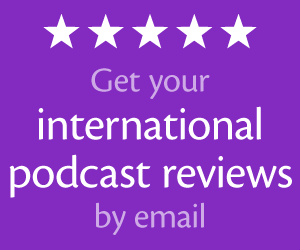 This means more people will hear that episode as they stumble across your podcast. Here's an example from a podcast I worked with. Look at the drastic difference in numbers because there was 36-day gap between episodes. It's okay to take a break or hiatus when you must. (It's best to tell your subscribers what to expect.) Instead of spreading your new subscribers evenly across new episodes, they bulk onto a single episode because it's what they'll first click. Leaving a gap merely to force more downloads for a particular episode will not increase your audience. This could actually harm your growth as visitors may think the show has ended or is erratic. This is the dirtiest tactic of them all. It's easy to find people with fewer ethics who will use a system to download your podcast multiple times—through iTunes or pressing play on your website. Some providers claim to use only humans for these tasks and boast of providing up to 20,000 downloads. They even offer money-back guarantees! Provided by Emily Prokop from Classy Little Podcast (also Podcasters' Society member). I hope your morality core recognizes the fraud in this. Purchased downloads result only in mere numbers, not human connections. Not all podcast measurement companies are alike. Switch to an underdeveloped company or a company following public radio's “wild west” methods of measurement, and you'll instantly see much higher download numbers! Numbers can lie if the numbers are not calculated correctly! There are a variety of circumstances that many podcast-measurement companies have not learned how to filter. For example, what happens when a file download is interrupted due to a pause or poor Internet connection. Trusting bad stats will give you a higher—but more inaccurate—number, without ever growing your true audience. The Interactive Advertising Bureau (IAB) is currently meeting with the top podcast-measurement companies (Blubrry, Libsyn, or Podtrac) and other influencers (Apple, Google, public radio, and more) to set an updated standard on podcast measurement. Until such a standard is finalized, I recommend only Blubrry, Libsyn, or Podtrac for trustworthy, reliable podcast stats. You probably noticed the recurring theme under each point. These eight tactics will certainly increase a number you see, but they don't result in increasing the actual number of humans engaging with your content. I listened to this in the car today…loved the episode. I really like, near the end, when you said “Increasing the downloads will not grow your audience…..growing your audience will increase downloads.”. Will you do (or have you done) an episode of “8 things you can do to increase your audience?” And when will you open podcasters society again? Surprisingly, I haven’t done such an episode, but I will! Podcasters’ Society will definitely be open again before Podcast Movement. Hi Daniel…you asked for feedback on any of these methods, and I did try the ‘posting the download link into twitter’. It does indeed result in immediate downloads, (about 25 in my case) and I really see nothing wrong with that, so long as its not over-used. I think that, upon publication of a new episode, sending it to twitter once or twice the first WEEK is a great way to get the podcast out there. What stats are you using? Most of those immediate downloads are bots, and very few (if any) people will listen to much of an episode from their Twitter stream. The “sin” isn’t in posting the direct link (though you need to know the caveat that I just shared), but in doing so dozens or hundreds of times per hour. The stats are coming from Libsyn and I believe you are correct when you say its mostly bots. Within a few seconds of the tweet, the download numbers shot up instantly.